- Morning 6.00 p.m. to afternoon 1.00 p.m.
- Afternoon 3.30 p.m. to night 9.00 p.m.
On festival times temple will be opened from early morning 4.00 a.m.
and the closing time night 11.00 p.m.
Also monthly special poojas are performed on Karthigai, Sasti, and Pradosham. 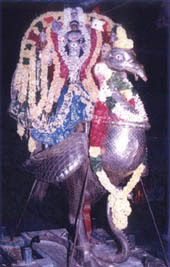 In this temple Lord Muruga's Celestial marriage (Thirukkalyanam), Shanmuga Archanai, Thirisathi Abhishekam, Sandal appliance (Santhanakappu) and adoring of the golden Kavacham are bountifully performed. The problems facing by the devotees like prolonging of marriages, critical childbirth, speedy recovery from illness, worries and unhappiness are being solved by deep worshipping of Lord Muruga. 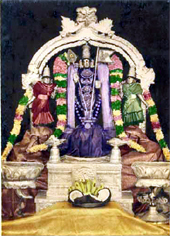 This temple is considered for bringing mental peacefulness among devotees. Temple administration is charging nominal FEE (clickhere) for performing Abhishekam and Thirukalyanam.